One Leisure St. Ives achieves repeat IOG Awards success! One Leisure St. Ives were also winners in 2013! One Leisure (St. Ives) has won “The IOG National Governing Bodies Grassroots Sports Ground Team of the Year” at the 2014 Institute of Groundsmanship (IOG) Awards earlier this month. The centre boasts a number of outdoor natural and synthetic surfaces for tennis, netball, cricket, athletics, rugby, hockey and football, and is one of five One Leisure centres managed by Huntingdonshire District Council. Since 2012, the council has employed pitch maintenance experts Technical Surfaces to deliver specialist maintenance to their seven artificial pitches located at One Leisure sites across Huntingdonshire. 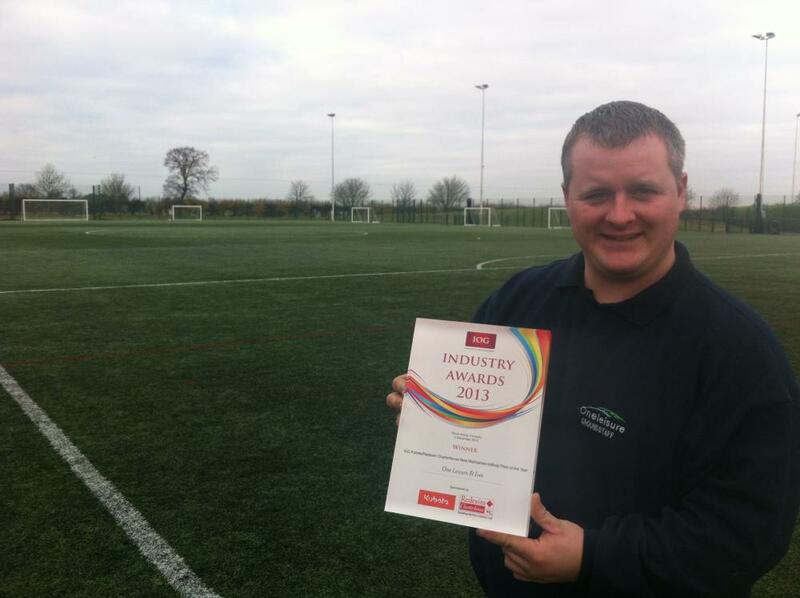 This includes St. Ives’ 3G pitch, itself already the proud recipient of the "IOG Kubota/Redexim Charterhouse Best Maintained Artificial Pitch of the Year" for 2013. Technical Surfaces’ NVQ-trained technicians provide quarterly specialist maintenance to the artificial pitches at One Leisure St. Ives, comprising regular sweeps, decompactions, infill top-ups and vegetation treatments. 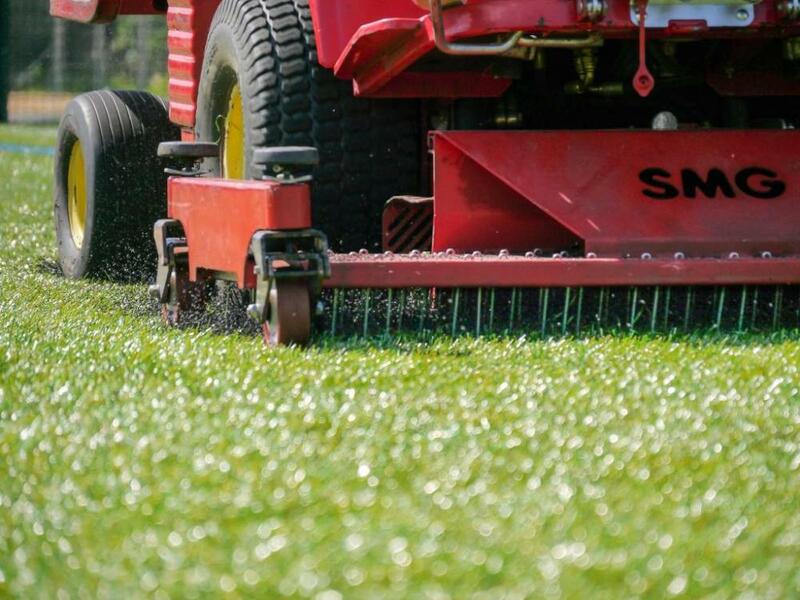 This structured preventative maintenance programme helps to ensure a continued level of pitch performance, providing a safe playing environment whilst maintaining the appearance and playing qualities of the surfaces. We would like to thank Technical Surfaces for their help throughout the year, and for their contribution to the maintenance of our 3G and sand-filled pitches, which has undoubtedly helped us to secure this fantastic award from the IOG. Along with their specialist maintenance, my team and I usually brush the pitches 3 times a week, and we also carry out regular inspections of the playing surface and pitch equipment. We are careful to educate our users of the correct footwear to use and how to behave on the surface, which allows us to keep them to a high standard. 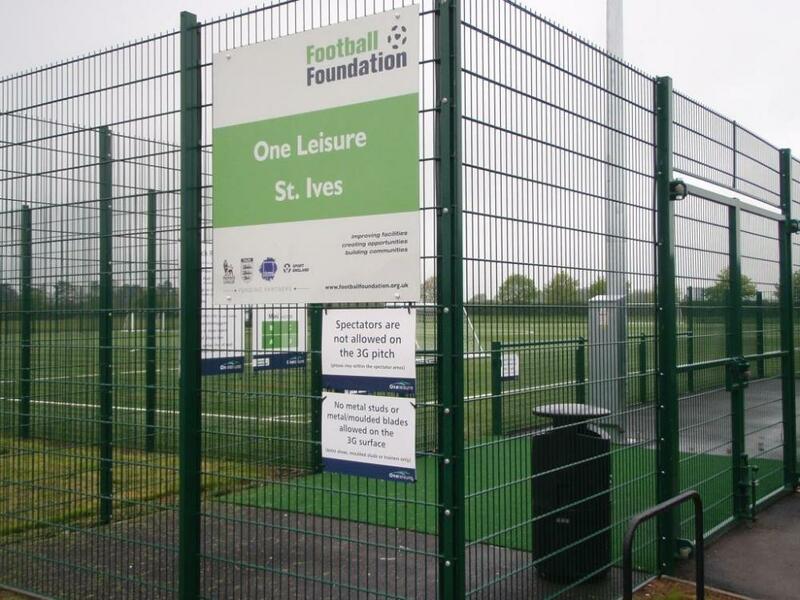 We are incredibly proud that our hard work has paid off, and with the help of Technical Surfaces we can continue to provide superb synthetic turf facilities at One Leisure St. Ives. 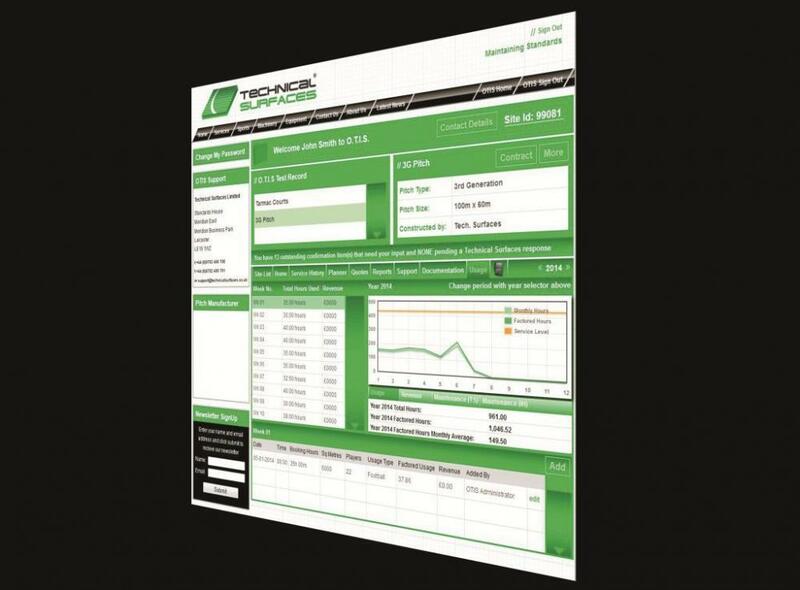 Rob, along with his counterparts at One Leisure Huntingdon, Ramsey, Sawtry and St. Neots, can also manage his pitch maintenance programme online with OTIS, Technical Surfaces’ Online Technical Information System. Their in-house maintenance is structured along standard industry guidelines of around 1 hour’s maintenance for every 10 hours of play, and via OTIS they can log all maintenance activities taking place on their surface. Usage levels can also be uploaded, to determine whether or not the maintenance taking place is appropriate for the level of use their pitches are receiving. Through the combined efforts of Rob and his grounds team, alongside the continued support and expertise provided by Technical Surfaces, the artificial pitches at One Leisure St. Ives continue to flourish, and we would like to congratulate them on their repeated success at the IOG awards!